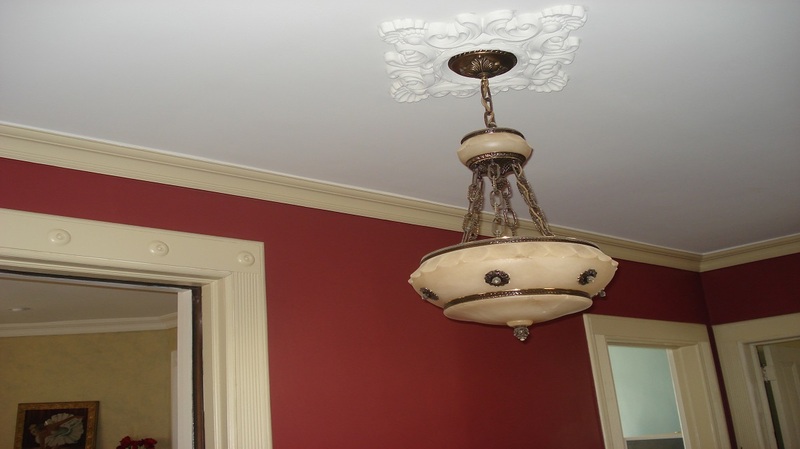 We have been painting homes and restoring older homes in Westfield NJ and surrounding towns since the early 1980’s. Our work philosophy known by our costumers as GIKAS WIZARD is creatively carried from project to project enhancing your home with texture, colors and details in order to comprehensively restore its charming properties. Absolute and uncompromised attention is given to the preparation of your home for painting as we will not stand the embarrassment to see your chromo symphony fall apart after a short period of time therefore our work comes with a standard warranty. we offer some of the most desired services in the industry. Top of the list is removal of old Aluminum siding and restore the original Architectural look and feel. Adding a new deck or restoring and old one will add more functionality to your home and allow you to enjoy all of your home. We will color match or coordinate your colors and use fine detail for your interior and exterior painting. Along with wood or tile floors, Gikas painting will help you bring your home to it full beauty and value. While most painting companies think that house painting is just a coat of paint. We at Gikas painting take our work very seriously. We drive by and see houses that we get excited to work on. We enjoy every minute of your project from the initial consultation to the final piece of trim. Please take this opportunity to view our project page. You will see all of the fine detail we put into our work. If you would like an indoor restoration in order to transform your mood choose to get an interior painting project in Westfield. Gikas painting team of experts comes equipped with the latest technology tools in order to give you the desired result on time. People get the first impression for us and our home just by looking the outside of our house. In order to turn upside-down the way others sees you Gikas painting undertakes exterior painting project in Westfield . Turn the inside of your home into a more attractive and relaxing place try to get carpentry services in Westfield. Gikas painting team of professionals guarantee a wall to wall carpet deposition that will pleace you taste and your needs. A house renovation in needed not only to add value to our homes or boost our mood, but for reasons of safety too. If your roof is damaged call Gikas painting for a free estimation and if it is needed you should get roofing services in Westfield. If you would like a totally refreshed home in both indoors and outdoors you should ask for flooring services in Westfield. Gikas painting team of experts possess the right equipment in order to deal with any king of wood-work or a tile-work for both inside and outside of your home. What are the services Gikas Contracting is offering? Gikascontracting.com: Professional House Painters & Contractors in New Jersey and surrounding towns since the early 1980’s.